The Rev. George H. Seville wrote the following little tract, found among the Papers of the Rev. Albert F. (“Bud”) Moginot, Jr. The couple had four children, all born in China. Three daughters, Janet (Mrs. Ralph M. Bragdon), Elsa (Mrs. Roger B. VanBuskirk) and Edith (Mrs. Francis A. Schaeffer), and a son, John, who died in infancy. The Seville family returned from China in 1919, whereupon Rev. Seville studied at Gordon College and then served as pastor of the Westminster Presbyterian church, Newburgh, NY, from 1923-1930. From 1931-1935, Rev. Seville served in the publishing department of the China Inland Mission, based initially in Toronto, Ontario and later in Philadelphia, PA. It was during this period that his alma mater Westminster College awarded him the Doctor of Divinity degree, in 1932. He was next one of the founding professors at the Faith Theological Seminary, teaching Greek and Practical Theology. Retiring from that service in 1955, this was also about the same time that Francis and Edith Schaeffer founded the L’Abri ministry, and Dr. Seville served as treasurer for the ministry from 1955-1967. Dr. Seville lived to be 101 years of age, and died on March 21, 1977. Rev. George H. Seville, D.D. A very commonly used interjection is “Gee.” It is capitalized in Webster’s New International Diction­ary and given this definition: “A form of Jesus, used in minced oaths.” This derivation is even more ap­parent when the form “Geez,” now frequently heard, is used. Two other common words and their defini­tions are these: “Golly—a euphemism for God, used in minced oaths; gosh, a substitute for God, used in minced oaths.” “Darn, darned, darnation” are said to be “colloquial euphemisms for damn, damned, dam­nation.” Persons who allow their lips to utter “Gosh- darned” quite freely would be shocked if they realized the real meaning of the word. James seemed puzzled by the same anomaly that puzzles us, namely, the presence of minced oaths on the lips of Christians. Writing of the tongue as “a restless evil . . . full of deadly poison,” he said: “Therewith bless we the Lord and Father; and there­with curse we men, who are made after the likeness of God: out of the same mouth cometh forth blessing and cursing. My brethren, these things ought not so to be” (Jas. 3 : 8-10). While no attempt has been made to give a complete list of all the words in the vocabulary of near-pro­fanity, enough has been said to indicate that present- day speech has fallen below that standard which Christ Jesus set for his disciples. The tendency in the use of expletives is to find the milder ones becoming less expressive of our feel­ings, to discard them, and use stronger ones in their stead. A careless following of others in the use of these common minced oaths will dull our own spiritual sensitiveness, and will weaken our Christian testimony. To gain the victory in this matter of full obedience to our Lord Jesus, we need to make the prayer of David our daily petition: “Let the words of my mouth, and the meditation of my heart, be acceptable in thy sight, O Lord, my strength and my redeemer” (Psa. 19: 14). Image source : Sixteenth Annual Catalog of Faith Theological Seminary, Elkins Park, PA, Summer 1953, page 7. Hugh Adoniram Judson : The Apostle of Burma, 38.4 (January 1944) 75-80. “And Some, Evangelists” Charles Grandison Finney, 41.3 (December 1946) 563-574. “And Some, Evangelists” Dwight Lyman Moody, 41.4 (January 1947) 585-597. “And Some, Evangelists” George Whitefield, 40.9 (June-September 1946) 486-495. “And Some, Evangelists” Henry Moorhouse, 41.8 (June-September 1947) 719-729. “And Some, Evangelists” J. Wilbur Chapman, 41.7 (April 1947) 672-681. “And Some, Evangelists” John Wesley, 41.2 (November 1946) 544-555. “And Some, Evangelists” Reuben Archer Torrey, 41.5 (February 1947) 608-617. “And Some, Evangelists” William Ashely Sunday, 41.8 (May 1947) 686-697. Bartholomew Ziegenbalg : The Apostle of India, 39.2 (November 1944) 42-47. Christian Friedrich Schwartz : The Founder of the Native Church in India, 39.3 (December 1944) 68-74. George and Grace Stott : Pioneers in Wenchow, China, 39.1 (October 1944) 14-20. Glimour of Mongolia, 39.6 (March 1945) 158-167. James Chalmers, 38.7 (April 1944) 164-171. James Hudson Taylor, Part II : The Master Workman, 38.6 (March 1944) 139-146. John Williams : The Apostle of the South, 39.8 (May 1945) 217-226. Mary Slessor of Calabar : Pioneer Missionary of Okoyong, 38.9 (June-September 1944) 227-235. Men We Should Know : Adolph Saphir: Hebrew Christian Preacher, 43.8 (May 1949) 249-258. Men We Should Know : Albert B. Simpson: Founder of the C. and M. Alliance, 45.3 (December 1950) 68-77, 87. Men We Should Know : Charles Simeon, Leader of the Low-Church Party, 42.7 (April 1948) 188-192; 42.9 (June-September 1948) 268-273. Men We Should Know : Francis Asbury, the Homeless Bishop, 44.1 (October 1949) 5-12, 27, 32. Men We Should Know : George Fox: Founder of Quakerism, 43.3 (December 1948) 77-84. Men We Should Know : John Nelson Darby, 43.5 (February 1949) 139-144. Men We Should Know : John Newton: a Brand from the Burning, 42.3 (December 1947) 89-93; 42.4 (January 1948) 103-109. Men We Should Know : Richard Baxter: a Protestant Saint, 43.4 (January 1949) 107-112, 136. Men Worth Knowing : August Hermann Francke: Pastor, Professor, Philanthropist, 42.5 (February 1948) 137-147. Men Worth Knowing : Philipp Jakob Spener, 42.1 (October 1947) 27-31; 42.2 (November 1947) 46-50. Missionary Builders : Guido Verbeck : A Pioneer in New Japan, 40.7 (April 1946) 427-433. Missionary Builders : John Wilkinson : Founder of the Mildmay Mission to the Jews, 40.8 (May 1946) 475-483. 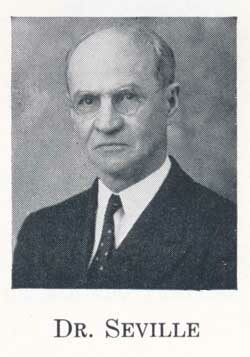 Missionary Builders : Pastor Louis Harms : Founder of a Unique Enterprise, 40.3 (December 1945) 350-354, 364. Missionary Builders : Robert Moffat: Builder of the Bechuana Missions, 40.5 (February 1946) 396-402. Missionary Builders : Robert Morrison: The Pioneer of Modern Missions in China, 39.9 (June-September 1945) 251-258, 264, 267. William Carey : Founder of a Missionary Society and a Mission, 38.2 (November 1943) 36-40. William Carey : One of the Serampore Brotherhood, 38.3 (December 1943) 54-59. William Chalmers Burns: Evangelist and Missionary, 39.4 (January 1945) 89-95; 39.5 (February 1945) 126-129.